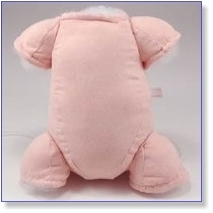 Taffy is about 17" long so that she will be huggably soft when you cuddle her. 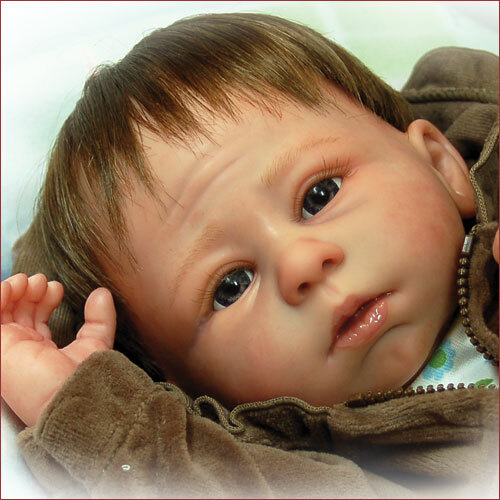 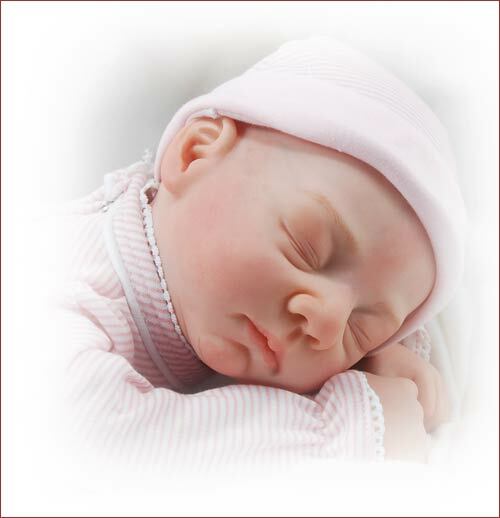 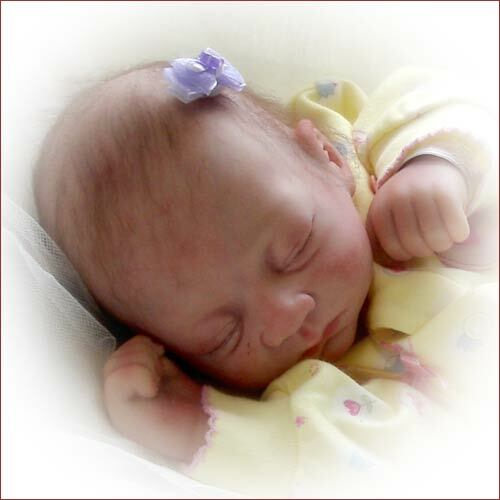 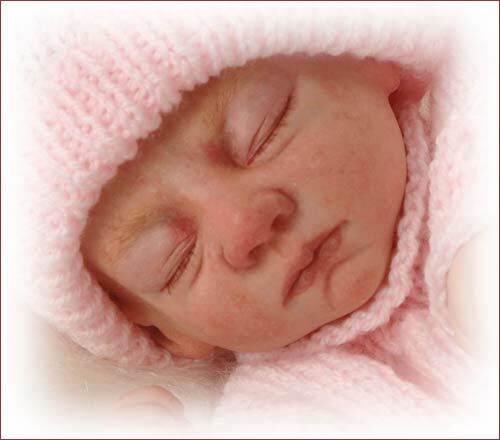 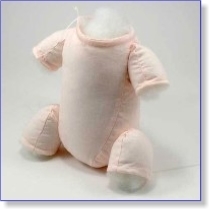 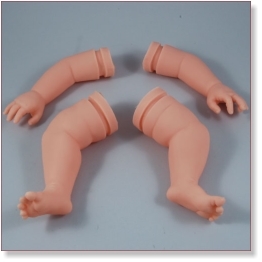 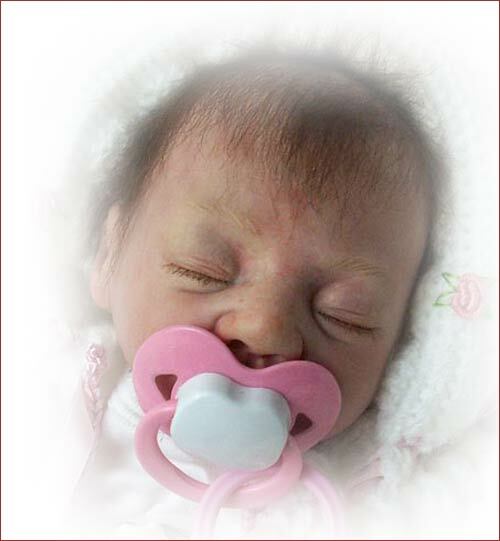 She also comes in Secrist's own special baby-soft vinyl that is translucent just like a real baby's skin. 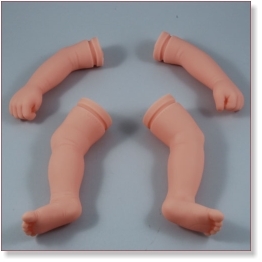 With other brand dolls you must heat the vinyl up before it becomes soft enough to root. 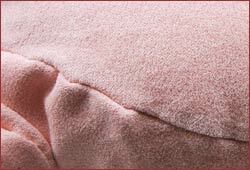 But Taffy's skin is so soft that you can root it without any heat at all. 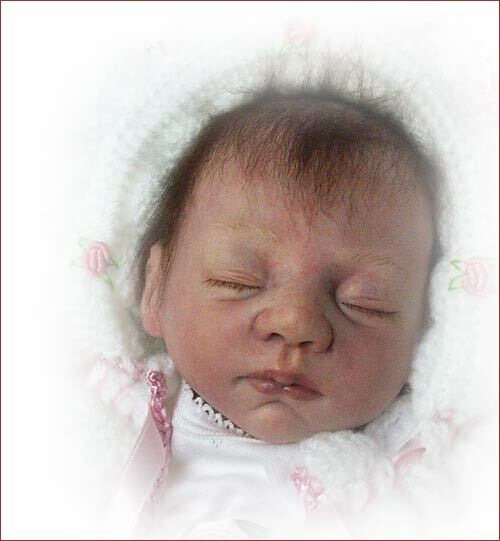 Be sure to get the right paints and brushes so that you can bring Taffy to life just as Carol has done here.